The 2019 Honda CR-V might be a popular option with drivers near Vero Beach, but it can’t quite hold its own against an equally-popular top competitor like the 2019 Toyota RAV4! Choosing the latter will get you more standard safety features, more horsepower, and available off-road ready performance features that you won’t find in a Honda. Ready to make a decision? Compare the Toyota RAV4 vs. Honda CR-V today. Lane Tracing Assist: When you have Dynamic Radar Cruise Control activated, your RAV4 will detect the path of the vehicle in front of you and automatically guide your vehicle forward in its lane, as long as your hands remain on the steering wheel. Road Sign Assist: This feature detects speed limit signs, stop signs, and other information from the side of the road, and displays them on the multi-information display (MID), where they’re easier to read. Both models receive some form of adaptive cruise control, forward collision prevention, and a lane departure warning. The Toyota package includes automatic high-beams, which cost extra in the Honda. The RAV4 comes equipped with a 2.5L 4-Cylinder engine that delivers 203 hp and 184 lb-ft of torque. It offers a standard 8-speed automatic transmission with a built-in manual mode, so you can take control when the mood strikes. The CR-V includes a slightly-smaller 2.4L 4-Cylinder engine that can produce just 184 hp and 180 lb-ft of torque. It includes an efficiency-boosting continuously variable transmission, but it still can’t match the highway fuel economy of its competitor. In its baseline configuration, the RAV4 gets 36 mpg highway, compared to just 32 mpg highway with the starting CR-V.
Off-Road Capability: CR-V or RAV4? At least on pavement, the CR-V competes well with the RAV4. 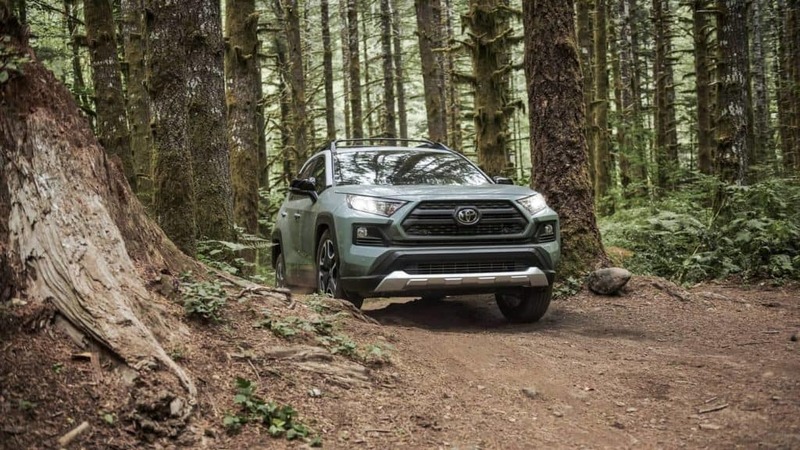 However, if you’re the type who wants the ability to go off-road, only Toyota offers a configuration that’s sure to satisfy. 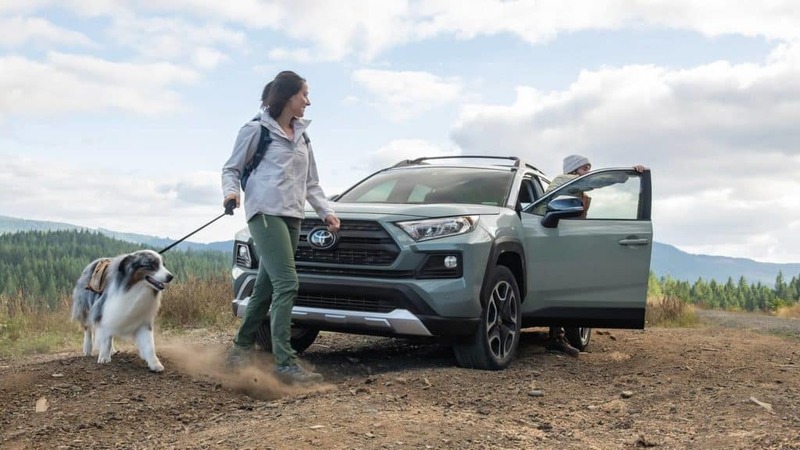 Those who upgrade with the 2019 Toyota RAV4 Adventure trim will receive Dynamic Torque Vectoring All-Wheel Drive, a 120V/100W Power Outlet in the Rear Cargo Area, and a towing capacity of up to 3,500 pounds. 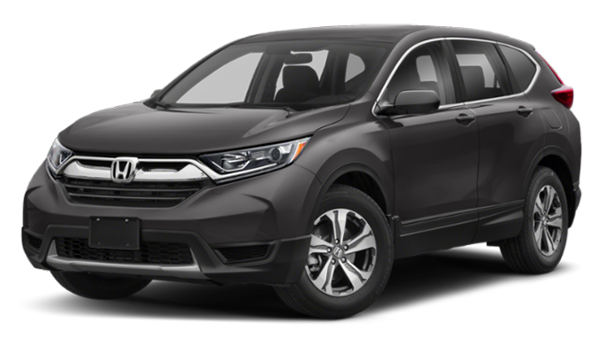 Neither of the first two features is offered in the CR-V, and the Honda’s maximum towing capacity is only 1,500 pounds. 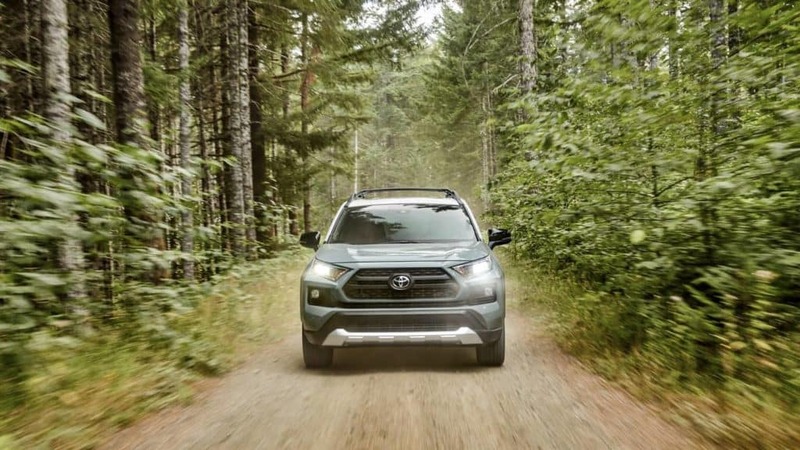 If you really want to know why the 2019 Toyota RAV4 is the best-selling non-truck in the U.S., we think you’ll need to get behind the wheel. 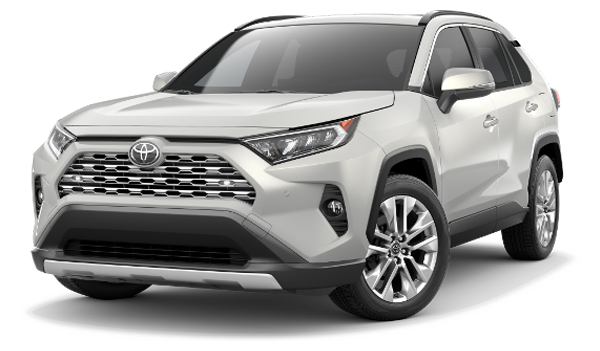 To schedule your test drive, simply reach out to the team at Treasure Coast Toyota of Stuart and find a new Toyota RAV4 for sale today. We’re conveniently located near Jupiter and Vero Beach. The 2019 Toyota Corolla mpg distinguishes this compact car as one of the smartest choices for Jupiter and Fort Pierce drivers. The LE Eco configuration, the most efficient Toyota Corolla trim level, gets EPA-estimated efficiency ratings of 30 mpg city and 40 mpg highway*. 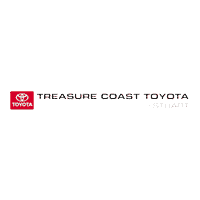 Learn more about the Corolla mileage and efficiency features with Treasure Coast Toyota of Stuart, today….